PHILADELPHIA - Aug. 20, 2018 - PRLog -- FiDonce Pro-Am announced Sunday evening that the winners of the conference finals, Venico Enterprises and Capital Punishment, would be battling it out in a 3-game championship beginning Monday August 20th, for the FiDonce Pro-Am Championship Title. Venico Enterprises led by Eric Hill, consists of a strong team including A Woodlin, H Warrick, S Brittingham, C Harper, P Harper, E Obade, J Hyden, D Jackson, and T Thomas. Capital Punishment come to the championship with a very strong line-up themselves. Team members include T Smith, T Hill, Deion Latham, J Pope, H Edwards, S Starks, B Minnis, D Comas, A Myers, and J Hanner. The first ever FiDonce Pro-Am took place this Summer, with players from the NBA, Overseas Pros, Domestic Pros, and NCAA Athletes. High profile players including Novar Gadson, Shep Garner, Ramone Moore, Markieff Morris and Marcus Morris (known as the Morris twins), DJ Newbill, Hakim Warrick, Rahlir Hollis-Jefferson, and Brandon Austin took part in the first season, establishing it as a competitive pro-am to be taken seriously. The MVP of the league was awarded to Marcus Thomas of the Philly Cannons who lost in a close final four match-up to Venico Enterprises. 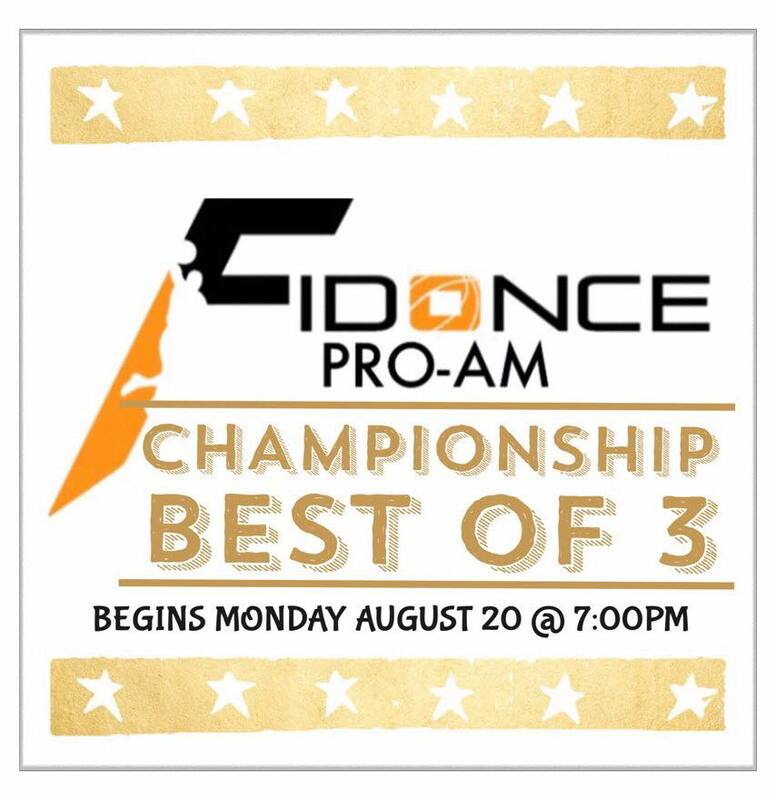 FiDonce Pro-Am commissioner Fahreed Cheatham said of the Pro-Am, it was compliment to be asked by CEO Pooh Evans, to head up as the Commissioner, the FiDonce Pro-Am. It was a chance to establish myself as a top league commissioner, outside of my own leagues, a once-in-a-lifetime opportunity. I am so pleased with the process and the results. I look forward to growing and expanding with the FiDonce Pro-Am in the future. We hope to see you at the Championship games this week. The FiDonce Pro-Am was created with a vision to bring back the rich tradition of elite basketball competition for NBA, Pro and College players to compete together over the Summer months.